“This one is an Oluwole certificate,” a top official of the corps said after we showed him a copy of the document. “We did not issue it and we could not have issued it.” Oluwole is a location in Nigeria’s commercial capital, Lagos, where fraudsters possess an amazing dexterity in the act of forging all kinds of documents. The signature on the ‘certificate’ is also suspect. As indicated earlier in this report, it was purportedly signed by an official who left the corps eight months before the document was made. One official described that claim as “barefaced lie and total impossibility”. Premium Times reported Friday how the certificate scandal was turned into a tool for blackmail by a National Assembly cartel that used it to coerce the finance minister to keep releasing funds to the lawmaking arm. Some federal lawmakers revealed to this paper that the discrepancy was detected by the Senate during the minister’s confirmation hearing. 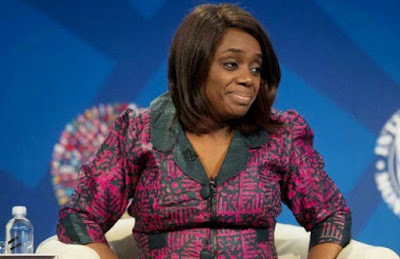 But rather than probe the issue, they turned it into a tool against Mrs Adeosun. The report linked the certificate scandal to the minister’s excessive, even illegal, funding of the lawmakers, including recently funnelling a N10billion largesse to that arm of government.